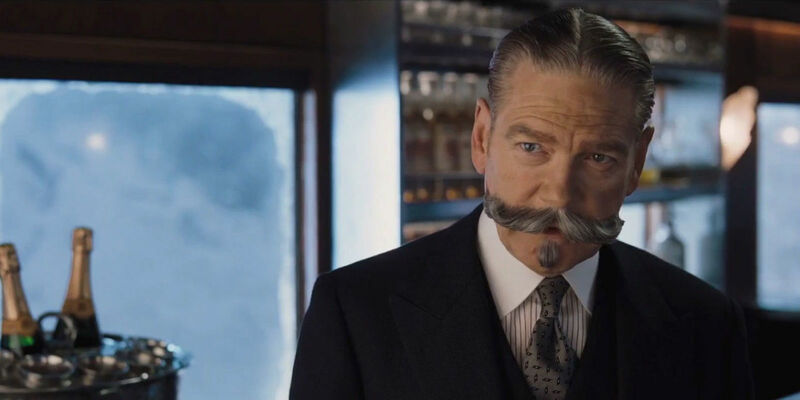 I’d love an all-star murder mystery, which makes it hurt all the worse that Kenneth Branagh’s Murder on the Orient Express isn’t a good one. He takes Agatha Christie’s classic novel (to both direct and star as the persnickety, mustachioed, world-famous detective Poirot) and runs it through the handsome, high-gloss, literary-toned approach that served him so well in the past. He has treated familiar stories from Hamlet to Cinderella with the same tone of high-minded, playfully gorgeous, deliciously melodramatic classicism. They’re reverent, but impassioned, heavy and light in the same moment. But somehow the translation to screen for this latest adaptation is stuffy and slow, every emotion muted, every turn and twist of the whodunnit plot bungled and stumbled in a ham-fisted clumsiness that never lets the puzzle pieces click together with pleasing precision. Instead, amid the fastidious production design of a luxury train lovingly photographed in 65mm and cramped tracking shots of beveled glass and ornate décor, he somehow never gets a good sense of the space. The characters are indifferently introduced; the investigation develops in fits and starts; the space is inelegantly portrayed – a jumble of close cuts and overhead shots that hardly gives us a window into the layout. The lumbering film neglects good mystery development at every turn. The story deals with a mystery of a murdered man on a snowbound train full of trapped suspects (including the likes of luminaries Judi Dench, Penelope Cruz, Willem Dafoe, Derek Jacobi, Olivia Colman, Michelle Pfeiffer, and on and on). Branagh never gets around to cluing us into who is in which compartment, the order of the cars, the timeline of the night in question. Part of the pleasure in a story such as this – understood by Christie and the best of her imitators and adapters – is to follow the clues as they stack up, then hold the big picture in our own heads as the detective tests theories and develops new leads. Here, the screenplay by Michael Green (Blade Runner 2049, a better expensive Hollywood detective story) simply asserts and accrues its mystery’s complications rather than presenting them in a more aesthetically or investigatively satisfying process. I barely had a sense of who the suspects were, let alone where there are on the train or with whom they trade meaningful red herrings. 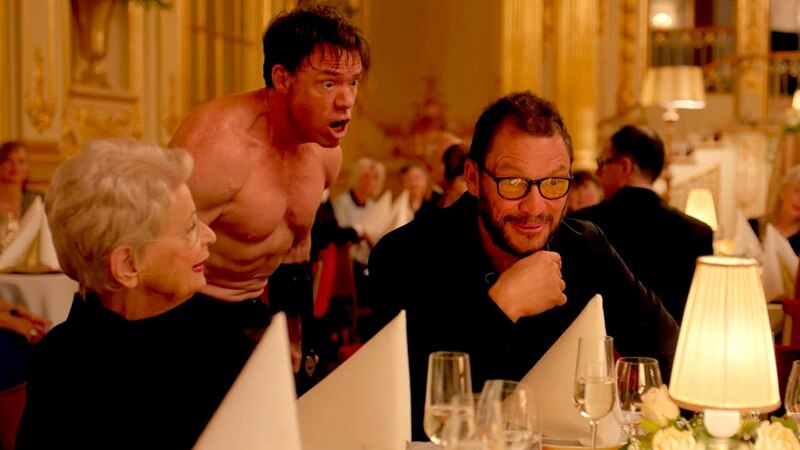 The cast is under-utilized, their star power and screen presence used to substitute or shorthand characterization, the film’s dull crackles of wit and tension carried over as best they can manage as little as they’re allowed. Why such a delicious intrigue is left to fizzle is beyond me. Branagh doesn’t even allow his Poirot more than a somnambulant personality. This prime place for some showboating (and, boy, is he one of our best showboats) is given over to soft, dry cracks and sleepy mumbling. There’s no spark of energy or life here, the big, fancy, unmoving train left stuck in the snow slowly turning away from any inherent suspense and into its own conspicuous metaphor. They have great tragedy in their pasts, but it does not define them. They have clear differences in personality and perspective, yet they reach out in earnest yearning for connection anyway. They are in tremulous liminal spaces, where routine softly slides into a momentary emotional and intellectual softening, where relationships are forged and life’s joys can be, however fleetingly, shared. This is Stephen Cone’s Princess Cyd, a movie about a 16-year-old soccer player from South Carolina (Jessica Pinnick, sunnily inhabiting a particularly adolescent ability to be shy and confident in the same moment) who uses her summer to visit the Chicago home of her novelist aunt (Rebecca Spence, easily into the rhythms of a person who spends most of her time with her own thoughts). Cone, whose previous feature was the similarly lovely indie Henry Gamble’s Birthday Party, crafts an intimate, sensitive dual portrait of these women as they enter into a dialogue, both spoken and unspoken, with each other over the course of their weeks together. His screenplay marries an open and engaged discourse – the sort of flowing, beautifully ordinary and rigorously intelligent language of a fine playwright – with a soft and supple eye for detail – the kind of attuned observation you’d find in the most perceptive and subtle of short stories. There’s a sense that these are real people in a film that never stoops to reduce them to easily digestible didactic drama. This gives the film not only a literary quality that matches the author character who holds half of its interest, but bolsters the contrasts between the women. When they first meet, hesitant family defrosting after nearly a decade apart, they hardly know where to begin. “How are books and stuff?” the teenager asks. When her aunt begins to tell her about her latest novel, then catches herself from divulging too much lest she spoil it, her niece casually – unknowingly cruelly – cuts in with an “oh, I won’t read it.” The older woman is in her head, living with literature and ideas, while the younger one lives embodied in her physicality, exercised, athletic, curious about what she can make her body do and feel. They have different approaches to pleasure and to their sense of self, and so too does the film. Cone holds this tension in the screenplay’s deft turns and in cinematographer Zoe White’s frames of sunny beauty, catching with deliberate off-handedness the features of their faces, bodies, clothes, neighborhood, friends and interests. There’s a touch of Rohmer in this beautifully contained, yet rich and full, meeting, of small ordinary shifts in perception, subtle moves between individuals pushing and pulling, closing gaps of empathy and opening new wounds. This is a movie so humane it’s full to the brim with compassion for its characters. 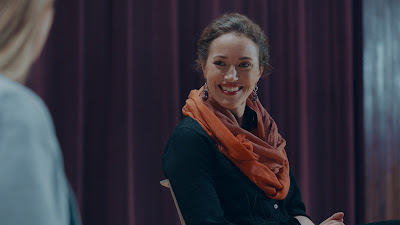 It realizes a person is a work in progress, and watches lovingly as two very different women are changed in some small measure by their encounter with the other. They do not have lessons to learn, so much as they end the film with the small possibility of new, positive growth.